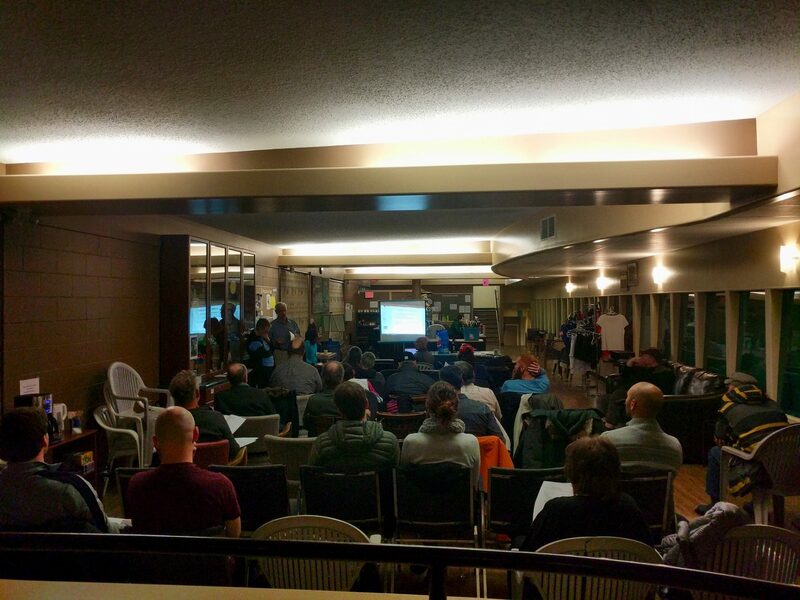 Thank you to everyone who joined us November 15th for our AGM. Your 2017-2018 Board of Directors are Brodie Thompson, Lee Smith, Jerome Nicol, Baxter Kawula, Jared Stephenson, Ingrid Larson, Cathy Watts, Wendy Quinton, Shannon Richards and John Dosman. Special thanks to our volunteer Jim Spinney who has been the steward of our finances for the past four years and is going to turn the reins over to our new Treasurer, Baxter Kawula. Vanessa Loewen was awarded a Saskatoon Cycles t-shirt to acknowledge her contributions to encourage 70 students at James Alexander School to ride their bikes to school for a week. We are always so pleased to celebrate the efforts that are made to promote cycling in Saskatoon. 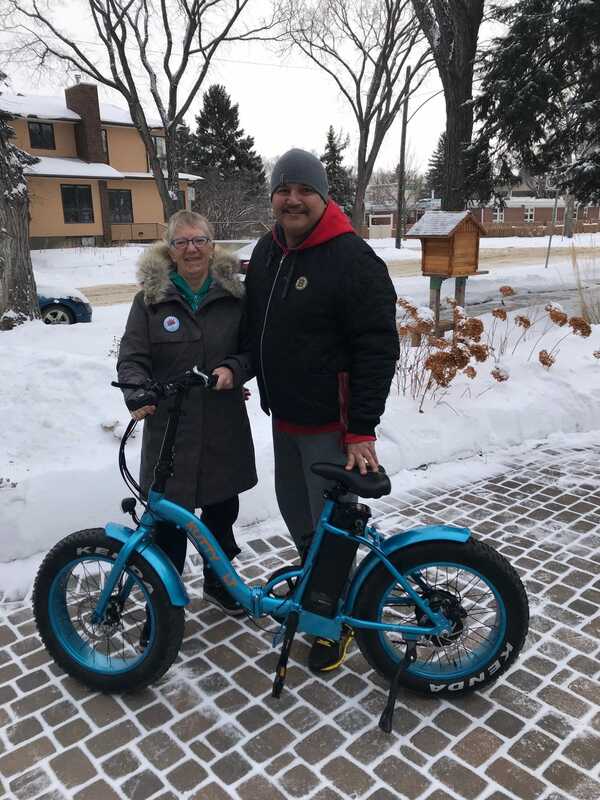 After several months of work from the raffle committee and many wonderful volunteers, we were able to raise approximately $7000 for Saskatoon Cycles. Congratulations to all of the winners! Bike Valet January 18-20, 2018 – As part of our grant from the City that we have received for the Winter City Strategy, we will be providing a bike valet in front of the Refinery for January 18-20 from 7pm-10:30pm. We will be offering an honorarium for two people to set up and run this service. Contact Saskatoon Cycles if you are interested. Join us January 19th for the musical and spoken word performance, “SPIN by Evalyn Parry”, at the Refinery as part of Winteruption. There is a special reception prior to this event for Saskatoon Cycles with dessert and hot drinks from Calories. The bike valet will be available. Tickets will be held using the promo code “spin” until November 30th. Contact the Broadway Theatre to reserve yours today! January 20 – Winter workshop in partnership with the Bike Doctor from 1-3 pm on 11th street. 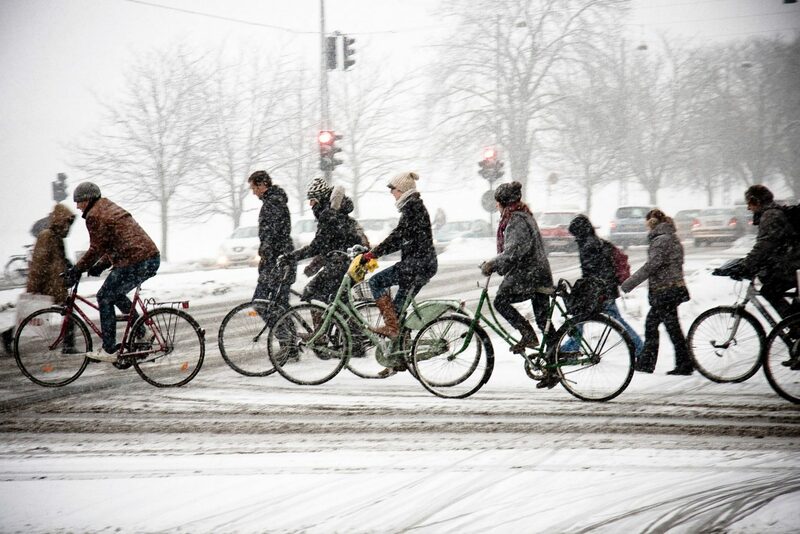 Volunteers are needed to help participants learn about and try winter cycling. You would bring your winterized bike and be willing to show interested participants some tips to make cycling in the winter a great experience. March 3 – Riverside Badminton and Tennis Club. Bike art show. Bikes will be displayed that have been decorated by students and by SCYAP artists. A bar-b-que and reception will be held. Volunteers are needed to help at the event from 5pm-7pm and with some of the details beforehand. March 10 – Winter camping event. We will be riding out to South Corman Park community association (15 km) at 3 pm, staying the night either in quinzhees, tents, or the log house. Baby steps to a winter adventure. We are looking for some events for the evening (musicians, storytellers, quinzhee builder’s, driving a support vehicle). The latest report from the Saskatoon Police Service’s #GetMyBikeBack initiative is that 1,264 people have registered their bikes online. They are hoping for 10,000 registrations. You can download the SPS Mobile App to record your bike’s serial number and other identifying information! Finally, a little chuckle from Dave Palibroda. 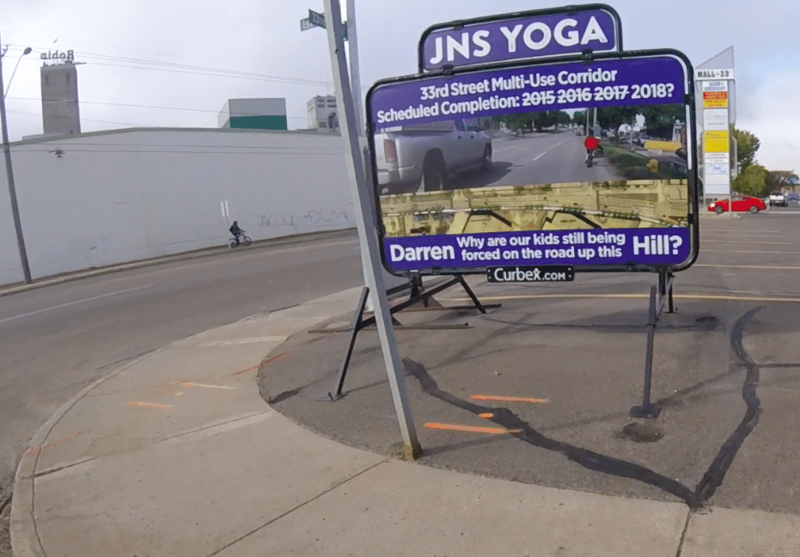 Did you see the sign above on 33rd Street?